August was another great cycling month. The highlight was easily our trip across Wales – something I had wanted to do for a long time. Beautiful, mountainous and quiet roads and my brave wife enduring 8 hard days on the bike. 5 days in the Vanoise Alps at the beginning of August and the Gruyere Cycling Tour were the other obvious highlights. 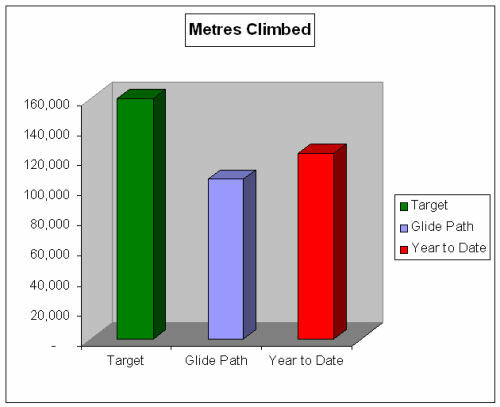 At about 124,000 metres of ascent I have now passed my original challenge (I revised it up to 160,000 metres in June). While I remain well ahead of schedule, the weather will dictate how difficult the last part of this 2007 challenge will become.